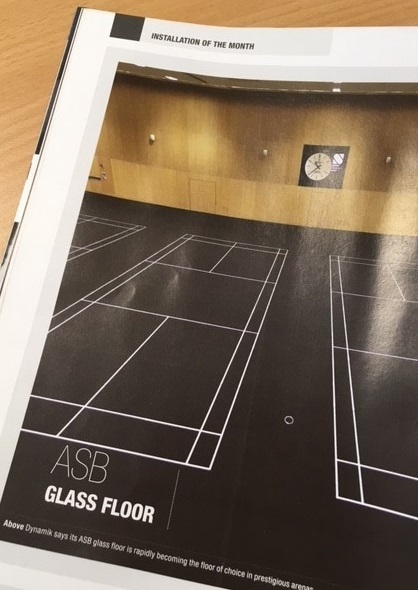 Featuring as Installation of the Month in Contract Flooring Journal (August 2018 p.22, 24, 26), the ASB Glass Floor by DYNAMIK is fast becoming the most talked about sports floor of its generation. Advancements in sports technology has allowed The University of Oxford to invest in this high performance, premium sprung glass floor offering extreme levels of durability, top sports performance and comfort, PLUS unique individual line marking at the touch of a button. DYNAMIK provide free of charge quotations and surveys which are carried out if you are looking to upgrade or maintain your sports flooring. Follow us on Twitter for the latest in Sports Flooring & Sports Walling solutions.